A study on physical and sexual abuse among black women yielded many disturbing findings, but perhaps the most disturbing is the correlation between childhood sexual abuse and earlier periods. Of the 35,000 black women between the ages of 21 and 69 profiled in the study, 43% had been physically abused in childhood and 18% had been sexually abused. 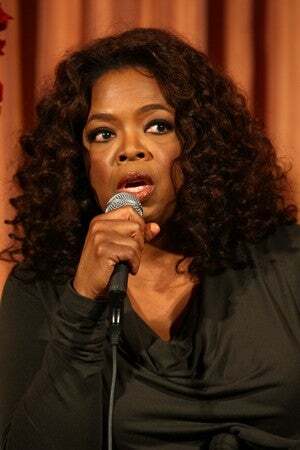 Those who were sexually abused (as Oprah was) were more likely to start menstruating before age 12. The effect was stronger the more frequently they were abused — girls who were abused up to three times were 26% more likely to start menstruating early, while those abused four or more times were 34% more likely to have early menarche. There was a weaker, but still present, correlation between physical abuse and early periods. Researchers think that it might actually be possible that sexual abuse causes earlier menstruation, as opposed to a simple correlation. The idea that sexual abuse actually changes girls' bodies, rushing them into physical maturity and making them vulnerable to pregnancy at a younger age, is perhaps even scarier than the sheer prevalence of physical and sexual abuse among African-American women. This possibility reveals, in the most upsetting way possible, that social as well as genetic factors may influence menstruation. The study's findings, along with the sheer number of women who report suffering abuse, underscore the need for better detection of abusive situations, more social services for girls, and more study of the underlying psychological and social problems that cause sexual abuse and allow it to continue.